Moving house? That can wait, Bey and Jay are in town. 14. Moving house? 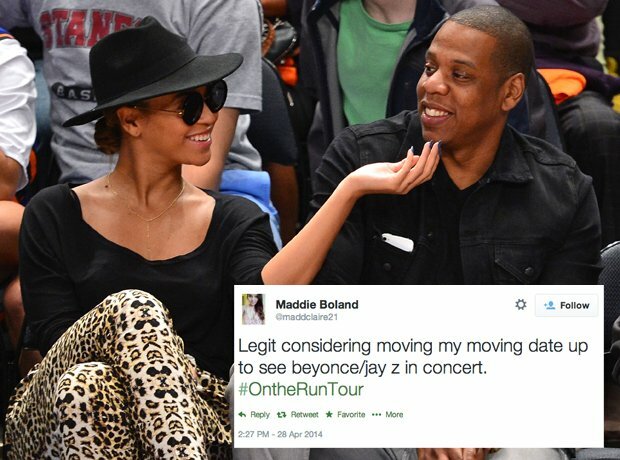 That can wait, Bey and Jay are in town.